Kermit, I cannot send you a PM! Is there a reason for this? 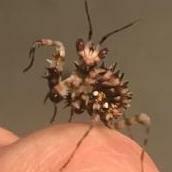 I was just wondering about the H. Membracana nymphs you have. Who would Bugsey have voted for? What other species do you have? Looks like you might have gotten your HG about the same time as me and perhaps from the same breeder... I got mine the week after Thanksgiving, you? Anyway looks like I have 2 females and the one in your pic looks to be the same. Do you have any more by chance...? I originally got 5 but only 2 have made it to this stage.... No chance of keeping the breed going without a male. 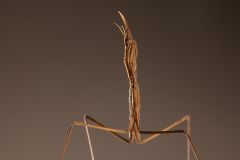 Lmk your storey with the incredible Hypsicorypha Gracilis Thx!